Errol and I have been playing the Last of Us. 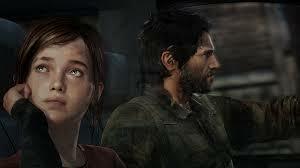 We haven’t finished it yet but so far it’s been a fantastic game: tense, heartbreaking, compelling and realistic. Well, about as realistic as a video game can get. I still always have issue with enemies being bullet sponges. So far this guy has been shot three times in the chest. But of course I nitpick here and there. And I can’t help but chuckle at the protagonist Joel and his grim faced ways. Have you noticed that a lot of video game protagonists follow this model? The grim, beaten down anti-hero with a tragic past. There’s nothing wrong with that and Joel certainly has more of an excuse than others to feel hopeless and depressed but man, I think there was one, ONE moment where I got a chuckle out of him. Of course his dour mood also serves as a counter point and balancing act to his partner Ellie, who is despite the circumstances a typical teenage girl. She likes to joke and have fun whenever the situation permits and she generally has a more positive attitude. When put next to the sourpuss Joel, it actually provides for some comedic moments. Still, why can’t Joel laugh every once in a while? Does NOTHING crack him? Well, we haven’t finished the game yet. Maybe there’s more in store for old Joel. Maybe not. Either way, this was a great fun Whitless Letter to make. Special thanks go out to my editor Dan the Video Ninja for cobbling it together from my nonsense notes and to Mai Sheri who made the sloth costume and endured the hot muggy summer weather to dance for me. Hurray! 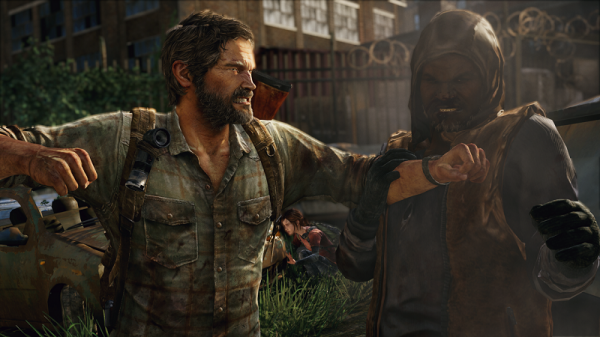 Posted on September 2, 2013, in Uncategorized and tagged last of us, whitless letters. Bookmark the permalink. Leave a comment.